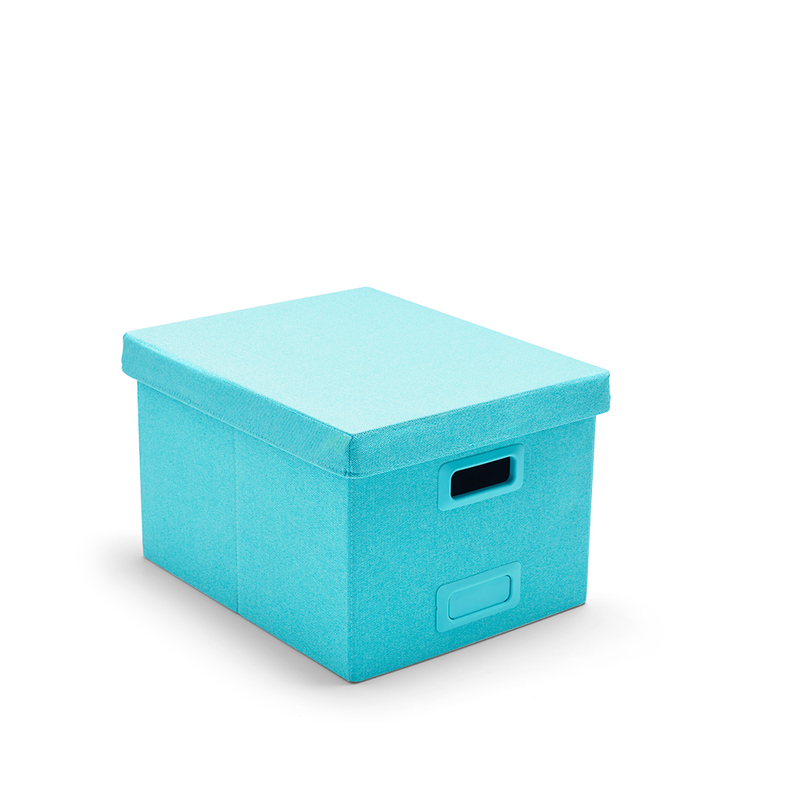 Our Large Storage Box holds hanging folders for office organization. Need to store more? Think outside the box and use it in the closet to store off-season sweaters. With handles for simple stacking and carrying, you won’t have trouble moving your ‘94 Taxes to get to your ‘15 Receipts.